Many of those energy workers and lightworkers who have been drawn to the crystal healing arts may find that they need a couple pointers to get into the proper space for effective work. Here are just a handful. Trust Your Own Innate Talent : I am not including specific techniques in this article. If you want to develop the most powerful and genuine skill with your crystal, look to yourself - you hold the answer. Close the books, cancel the seminars and workshops, and sit with your own feelings and urges. You will find that through your own one-of-a-kind will, you will generate your own method. Setting a Sacred Space : Although most practitioners know that atmosphere can be very important for the comfort of the client, it is also vital for the intensity of the connection between you and your Vogel Crystal. Make sure the space is clean, warm, and inviting. 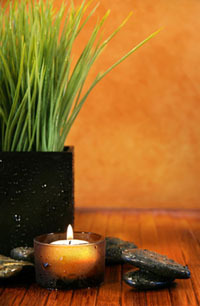 Add colors through draperies and candles that you resonate with, use the scents of incense, resins, or aromatherapy. Even change the themes depending upon the energy that you can intuit from the client in advance. Hang up pictures of those divine beings, gurus, or teachers whom you feel may help you during a session. Calling in Spirit Helpers : Before beginning the active portion of the session, ask the client to visualize bringing forth his/her own helpers, while you do so as well. This could be ascended masters, angels, spirit guides, deceased mentors, teachers, or family members in the same line of work, spirit animals, or any other energy that you feel called to incorporate. You may find that different energies will pop up willingly depending on the unique needs of the client. Clear Yourself : The clearing or cleansing of yourself is more important than all the different techniques for the purification of your crystals. 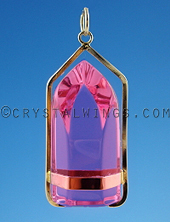 Quartz crystal is pure energetic light; it is you that may bring forth residual energies from a past client. Using the smoke of sage, or Palo Santos, start at your feet, and smudge upwards over your whole body. If your mind is busy with thoughts or feelings from the day, use a simple mantra that can empty your mind and focus your intentions for the session. I use ‘Sat' on the inhale, and ‘Nam' on the exhale (which from Sanskrit translates to mean, ‘bowing to truth'), but you can use any sounds that you like. Instead of using smoke, you can exercise briefly to move the energies out of your system (our physical and etheric bodies ARE connected! ), bathe yourself, or meditate with crystals set around your body. Clear the Crystals : The bulk of the clearing should be done on your own energetic body, but clearing the crystal with your intention can also assist you in decontaminating heavy energies that were applied in a previous experience. Smudge the crystal. 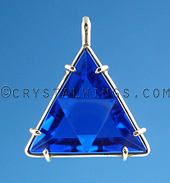 Hold the crystal parallel to the ground with a hand on either end. Pulsing your breath out through your nostrils, direct light through the crystal to obliterate any remaining toxicity (in your own memory bank). Do this several times, rotating the crystal with each breath, until it has completely revolved. Personal Practice Enhances Professional Practice : Your Vogel Crystals or Master Healing Crystals/Tools work the most effectively when they are fully integrated into your life. 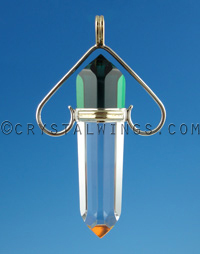 Many people's practice's begin to lose momentum when they use their crystals only on others, not themselves. The exponential potential of your work resides on your active effort to use the Vogel Crystal on you. 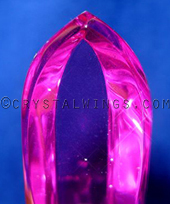 Every morning devote at least 10 minutes to sitting, talking, and communing with the crystal being. If you wait for a session, or for working on others, to touch and interact with the crystal you may find that you will be drained and more chaotic in your productivity.